The "product 4202" was tested on Oct. 25 at the Kura range in the Kamchatka Region. 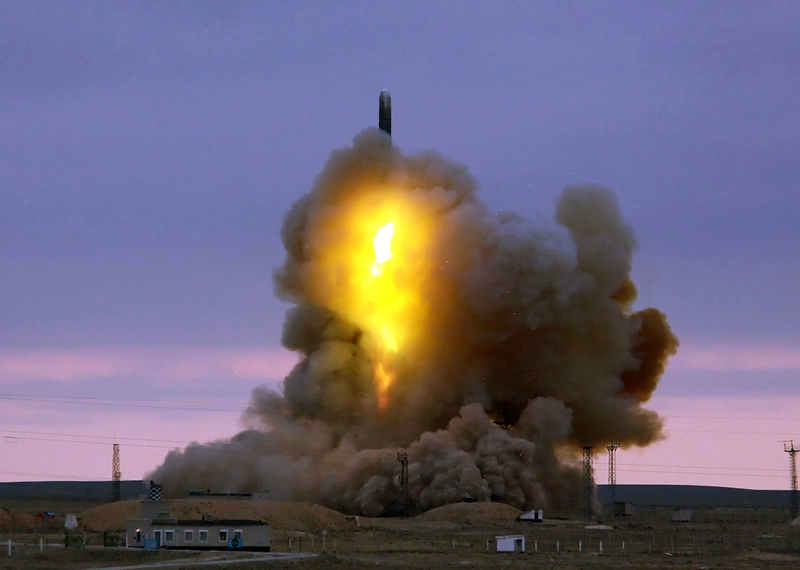 Pictured: The RS-18 Stiletto intercontinental ballistic missile has been launched from the Baikonur Cosmodrome having its target on the Kura training range. The weapon, dubbed “product 402,” is capable of reaching speeds of up to Mach 15. The Russian military has successfully tested a hypersonic weapon that can travel at a speed of Mach 15 or 7 kilometers (4.3 miles) per second. The supersonic projectile, designated as "product 4202" (as well as 15Y71), was successfully tested on Oct. 25 when it was fired from the Dombarovsky launching area in the Orenburg Region at the Kura range in the Kamchatka Region. Witnesses posted photographson the internet capturing the missile's characteristic trail in the sky. This is the first fully successful test of the weapon. In order to construct the 15Y71 its producer (NPO Mashinostroyeniya, located in the town of Reutov in the Moscow Region) had to conduct a large-scale import substitution program. The 4202 hypersonic weapon is designed to be installed instead of traditional warheads on long-range intercontinental ballistic missiles. It starts working at a height of around 60 miles and flies at its target at a speed of 3-4 miles (5-7 km) per second. Before entering dense atmospheric layers the projectile executes a complex maneuver directly over the target, one that makes it difficult for anti-missile defense systems to intercept it. News of the successful test of "product 4202" appeared on Oct. 25: Witnesses posted photographs on the internet showing the missile's particular trail. NPO Mashinostroyeniya has declined to make any comments. The Albatros hypersonic warhead project appeared in the USSR in the middle of the 1980s. It was the response to the United States’ attempt to create an anti-missile defense as part of its much-vaunted "Star Wars" defense program. The project was abandoned after a few years due to technical complications. However, in the middle of the 1990s NPO Mashinostroyeniya renewed the project under the name 4202. An expert from the Roscosmos Corporation told Russian daily newspaper Izvestiya that “product” 4202's successful test-flight had been preceded by a large-scale import substitution program necessitated by the sanctions imposed on Russia by the West over its actions in Ukraine. The producers faced the challenge of substituting the guidance system that earlier was made by the Kharton enterprise in Kharkov, Ukraine, as well as several other components. The program was carried out successfully, which resulted in the renewal of testing. At the beginning of October, NPO Mashinostroyeniya sent a letter to all the enterprises that had participated in the 4202 project, asking them to report on the work they had done within the import substitution program as soon as possible. Several enterprises have already confirmed receipt of the letter.